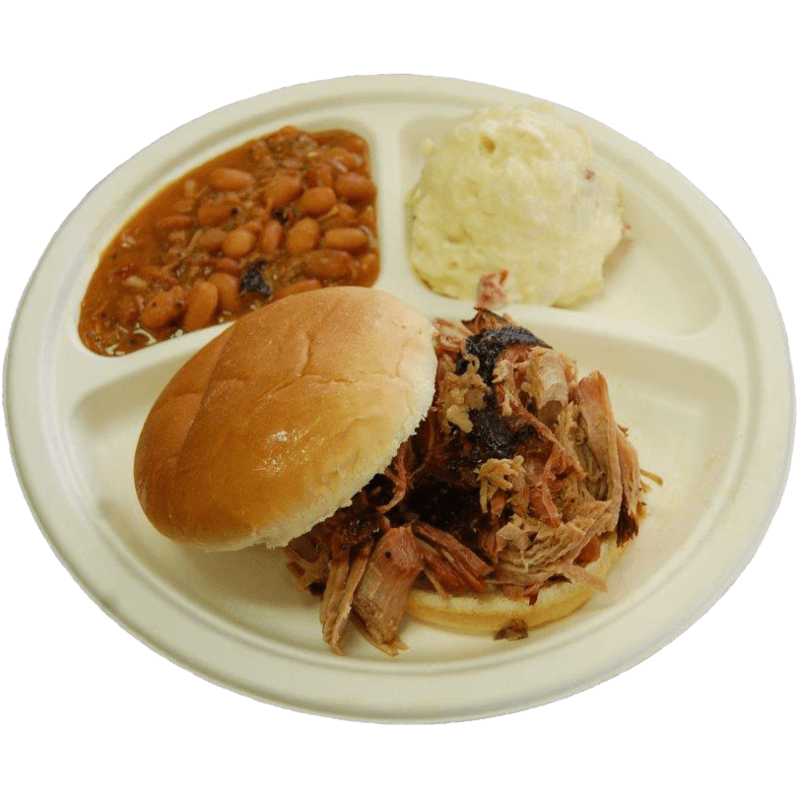 BBQ Beef sandwich, BBQ Pork sandwich or pulled chicken sandwich served with homemade cowboy beans and potato salad. 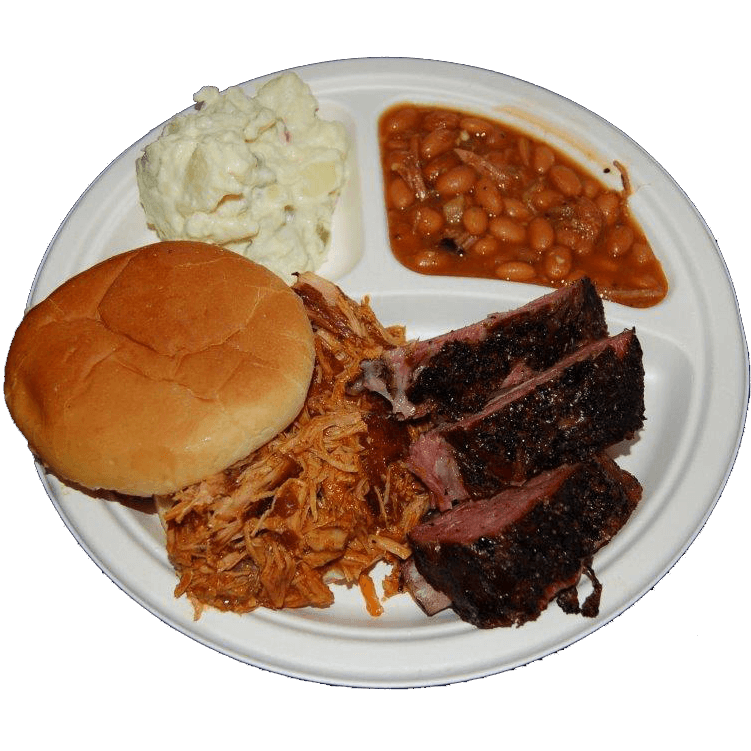 Pulled Chicken n’ Rib Plate-served with homemade cowboy beans and potato salad. 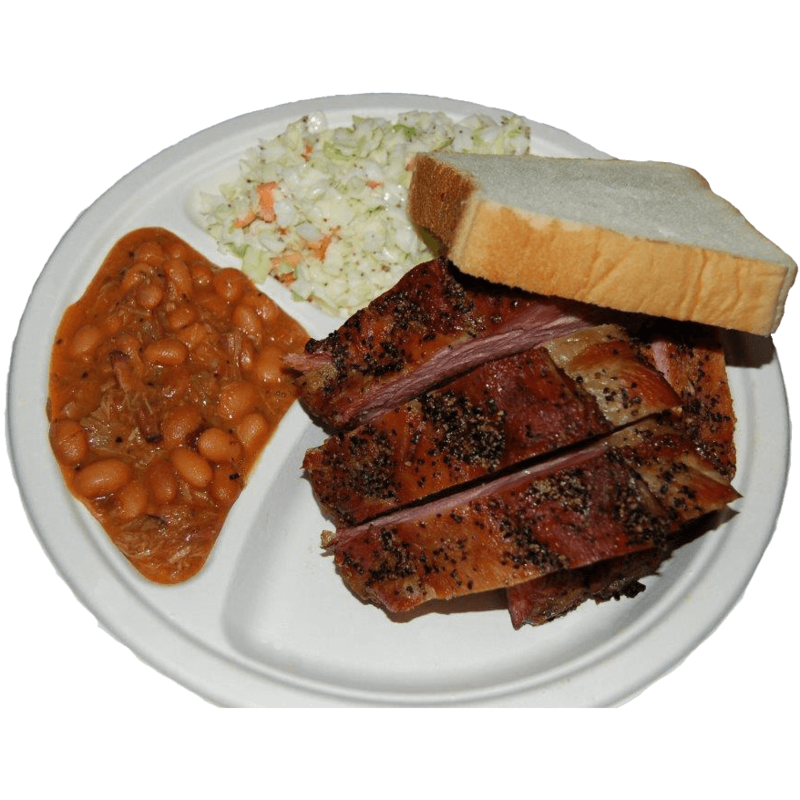 ½ Rack Baby Back Rib Plate served with homemade cowboy beans and potato salad. 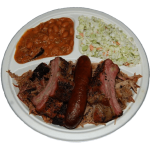 Big John’s Sampler Plate: BBQ Beef, BBQ Pork, Ribs, Hot Link, served with cowboy beans and potato salad. Smoked Chicken Caesar salad- fresh romaine lettuce, croutons and parmesan cheese, topped with Caesar dressing or a garden salad and a fresh baked cornbread muffin. *All meals include a drink and a scoop of ice cream. Drinks include – Soda, Sweet Tea, Regular Tea, Lemonade, or Coffee. TAXES & GRATUITY INCLUDED IN PRICES LISTED. * We can usually provide live country and western music for your dinner guests. 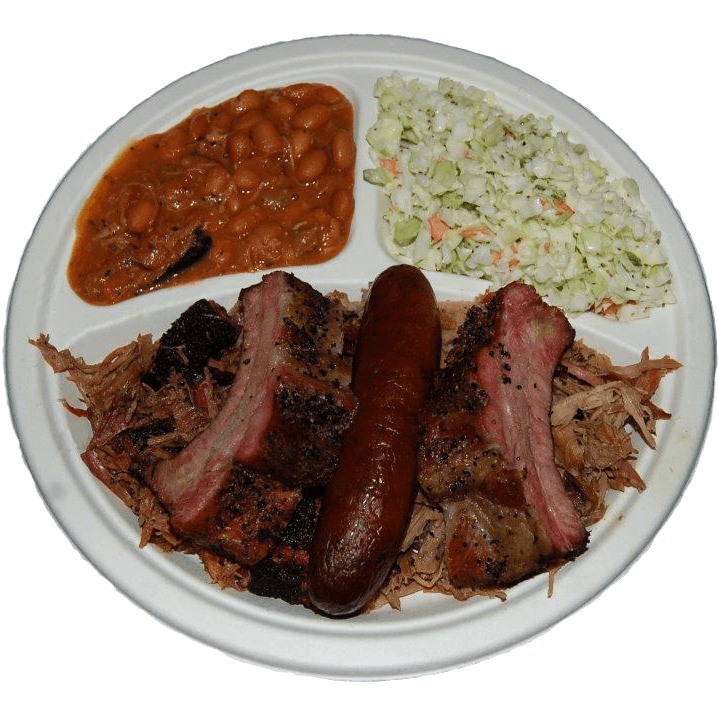 We can also provide your guests with a 5-10 minute tour of our custom BBQ smoker. Any changes in group numbers should be emailed to us. We must have 24 hours notice (prior to the reservation date) of any changes. If you are going to be late, please give us a 4-hour notice. Cancellations require a 72-hour notice and you will be charged for 50% of the total cost of the bill. Contact us by Email or by phone at 928-645-3300. 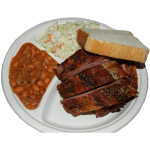 We will gladly provide 1 complimentary meal for 15 or more paying customers. We will provide 2 meals for 30 customers or more. The comp meal (s) will be the same as the tour meal. Cash, Credit Cards (Visa, MasterCard, Discover, Diner’s Club, and AMEX) are accepted. 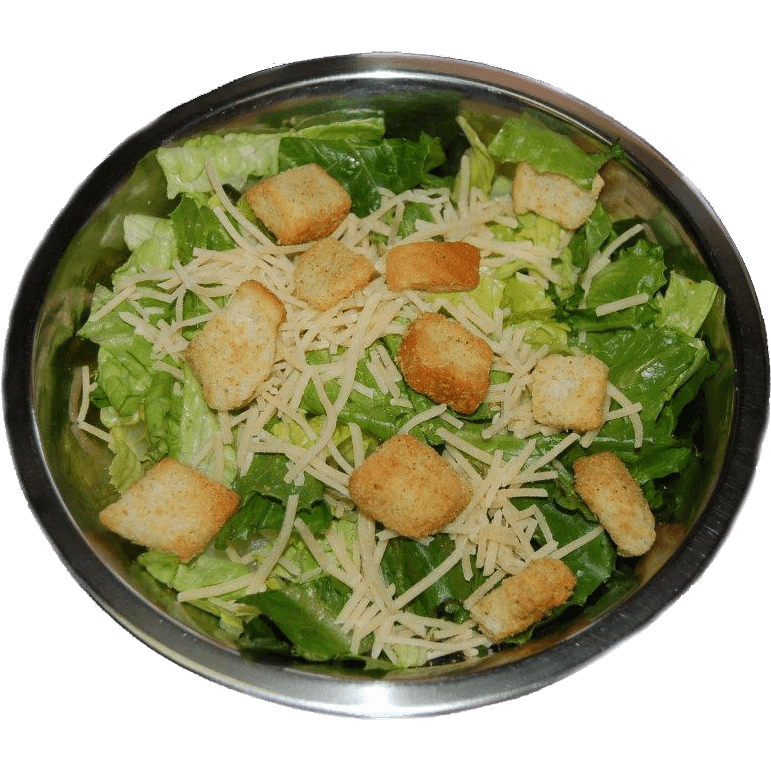 *All dinner meals include a drink and a scoop of ice cream. Drinks include – Soda, Sweet Tea, Regular Tea, Lemonade, or Coffee.